POMONA, CA FEBRUARY 17, 2011 The 6th Annual Powder Puff Off-Road Race For The Cure presented by Mohave Off-Road Racing Enthusiast (M.O.R.E. ), which is a female-only event comprised of drivers and team owners’ wives & daughters plus female industry leaders and celebrities, has moved to new dates: Friday, October 14th and Saturday, October 15, 2011 in Barstow, CA. 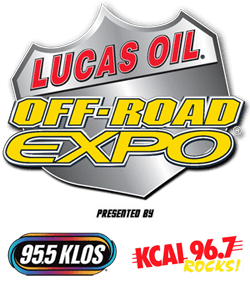 The 12th Annual Lucas Oil Off-Road Expo, the off-road industry’s leading & largest public trade show, will maintain their traditional weekend, October 8 & 9, 2011 at the Fairplex in Pomona, CA. The race schedule change will allow fans & enthusiasts the opportunity to go to both events without having to choose which event to attend. The change was facilitated to benefit the Cedar Sinai’s Breast Cancer Research Center, the sole recipient of the charitable proceeds of the Powder Puff Race. Now both the Powder Puff Race and the Expo will support Cedar Sinai and help promote breast cancer awareness within the off-road community. The Lucas Oil Off-Road Expo and the Powder Puff Race for the Cure are looking forward to working together to support Cedar Sinai’s Breast Cancer Research Center and promote breast cancer awareness at both events this season.